Remote Sales Force is a Carmel, Indiana-based company that specializes in providing contractors with tools to make sales online in the home renovating industry. I was asked to join their team as a freelance designer to improve the usability, the visual design, and the front-end code of its application, One-Click Contractor. 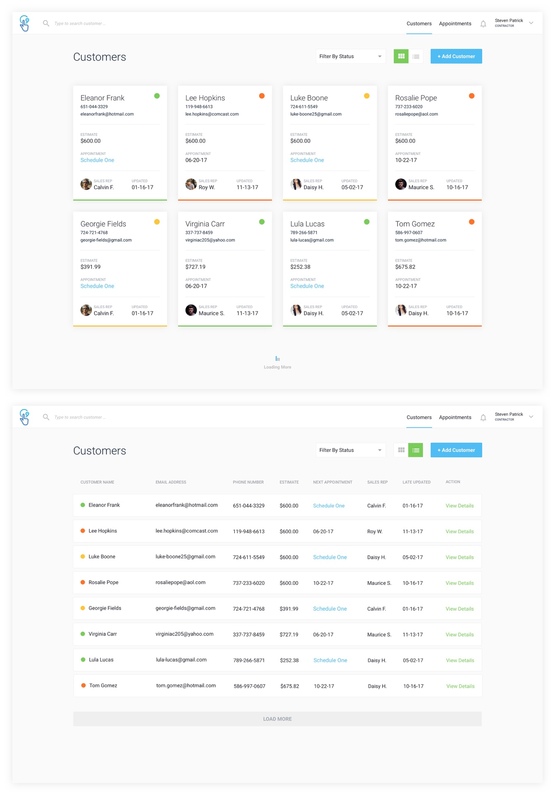 In the designs below, this is the final product of numerous usability tests and interviews with the contractors who use the system. The typical user has a low tolerance for web-based applications, so the goal was to make the platform as simple to use while providing an immense amount of tools. The dashboard provides a high-level of information for the sales agents to use for any leads, appointments, and current customers. They wanted a way to switch the view to allow the user to feel comfortable in viewing the information. 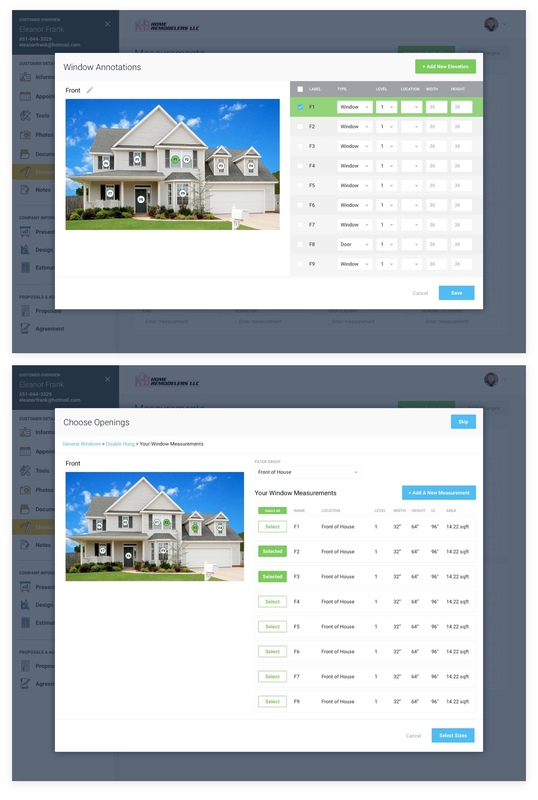 Once selecting a customer and viewing their details, the user has a left-side navigation panel to switch to different portions of the application. The system focuses on displaying the customer's home as they use drone and mapping photography to size roofs and other portions of the house. The contractors have the ability to sell their customers windows and doors within the application. To make their jobs easier, they can take a photo of the house and size the windows without ever having to leave the car. 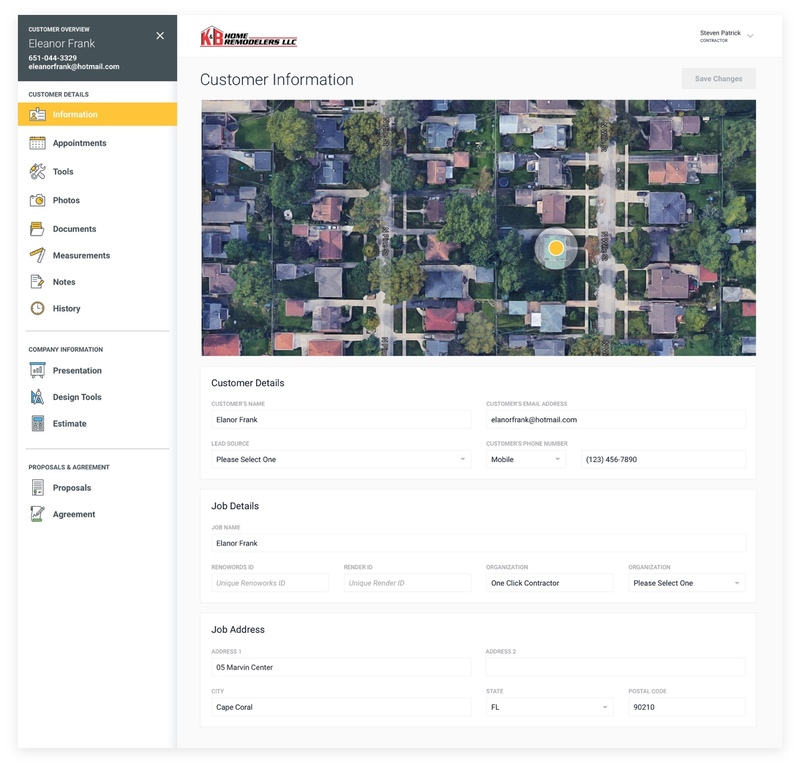 They can also provide product estimates for each window, and this tool provides the contractor with a way to build that list efficiently and effectively.